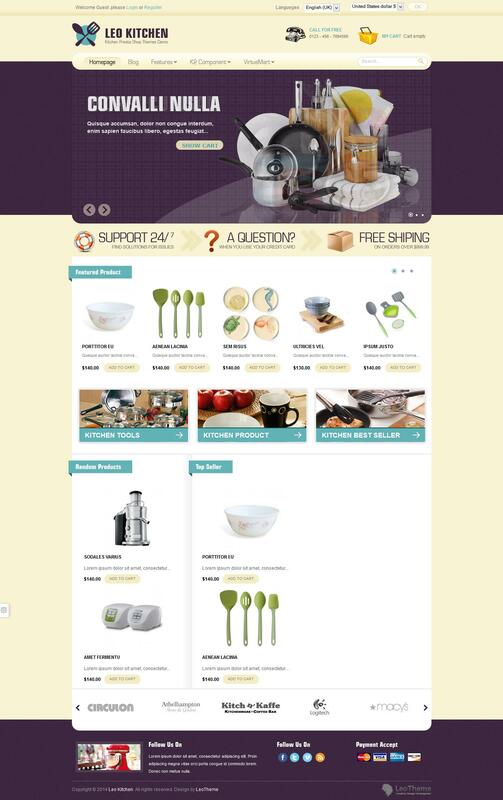 Leo Kitchen - stylish template internet - shop for Joomla 2.5, developed by a team of developers LeoTheme. This template includes 5 color schemes and built-in tool to customize the appearance template, allowing you to select the background, color scheme, font size and type. Corporate framework gives Leo Framework template adaptive support for display on any screen, fast page loading speed and code optimization. In template integrated component K2 with support additional styles, fully compliant design template. Leo Kitchen ideal for creating high quality and modern sites.